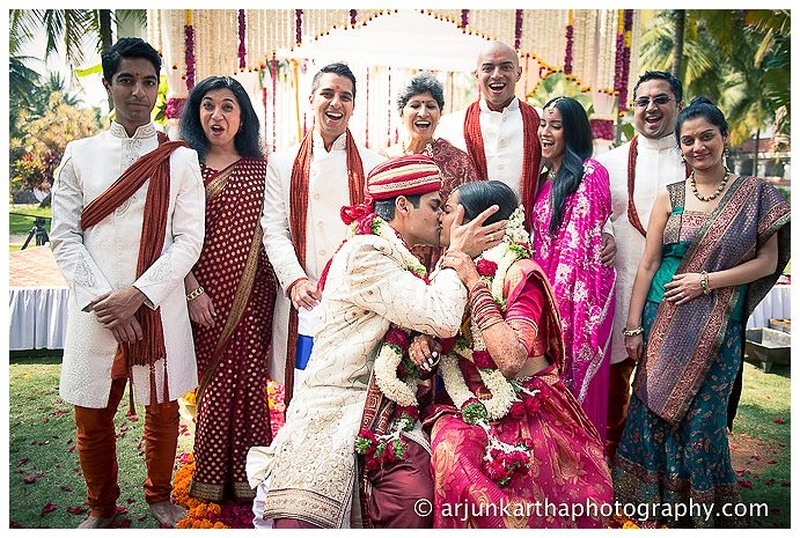 An international kinda love, sweeping through Canada, Africa and even UK! 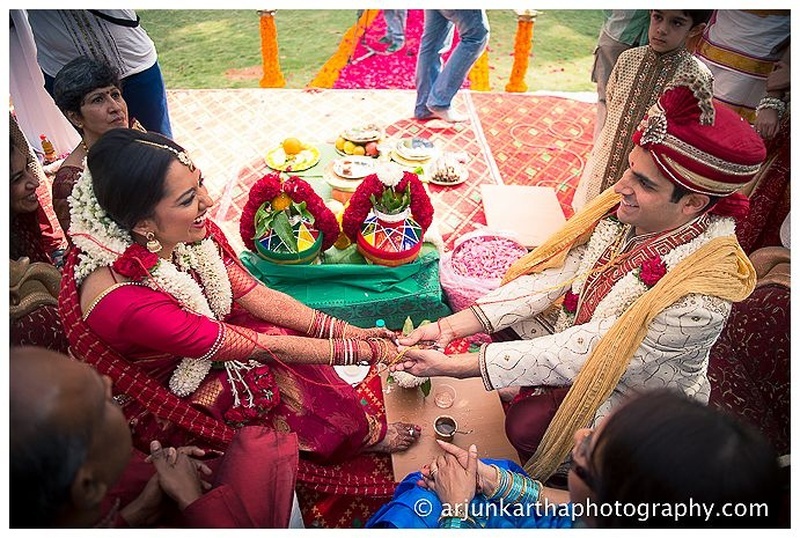 Reena and Anik’s love story has taken us by storm and how! 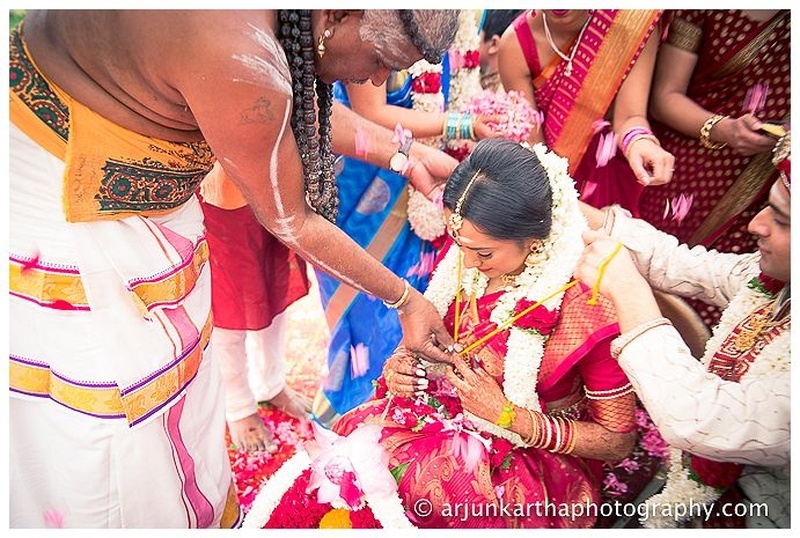 Proving yet again that love isn’t subject to caste, creed or culture. 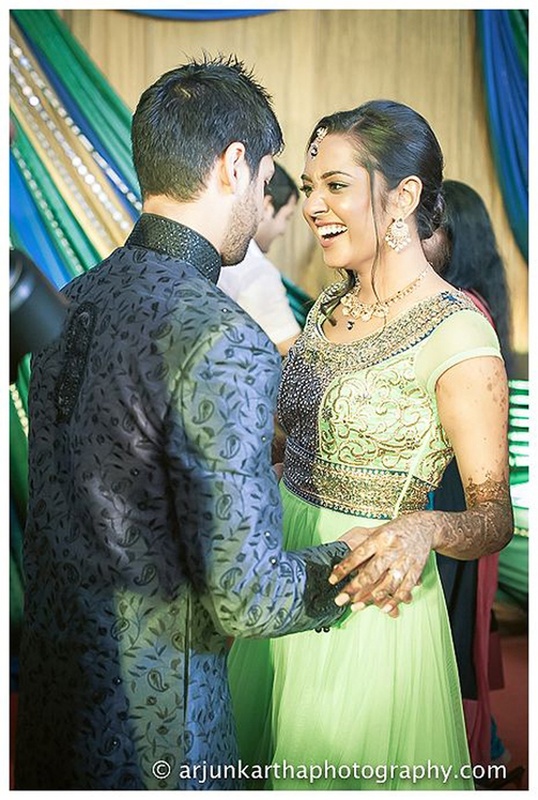 Reena is Tamil, lives in Canada, while Anik is Gujrati lives in Canada too, but only came to India in search of their wedding venue! 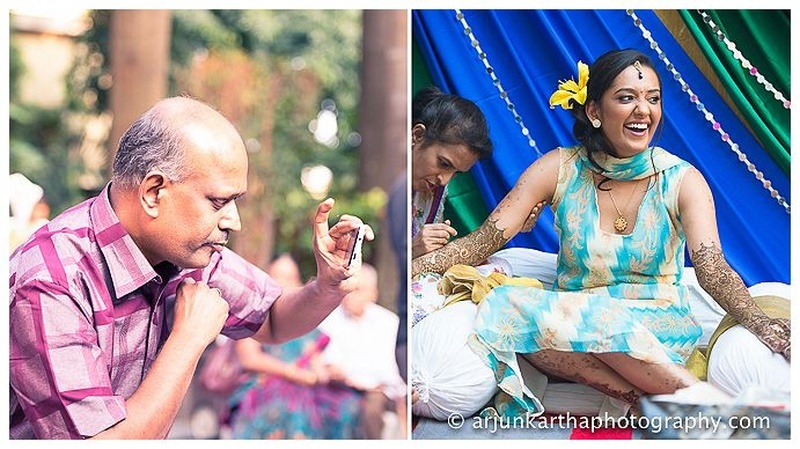 What a thing. 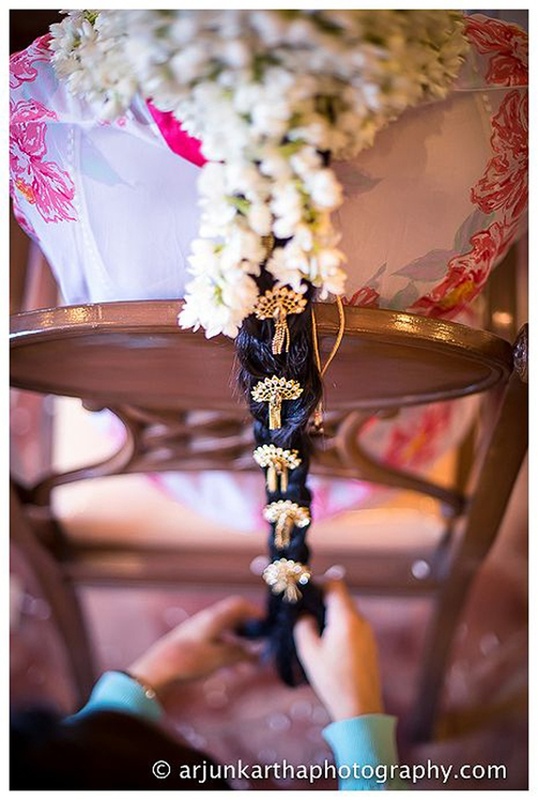 They found a comfortable place at the Golden Palms Resort & Spa in Bangalore to host their simplistic destination wedding. 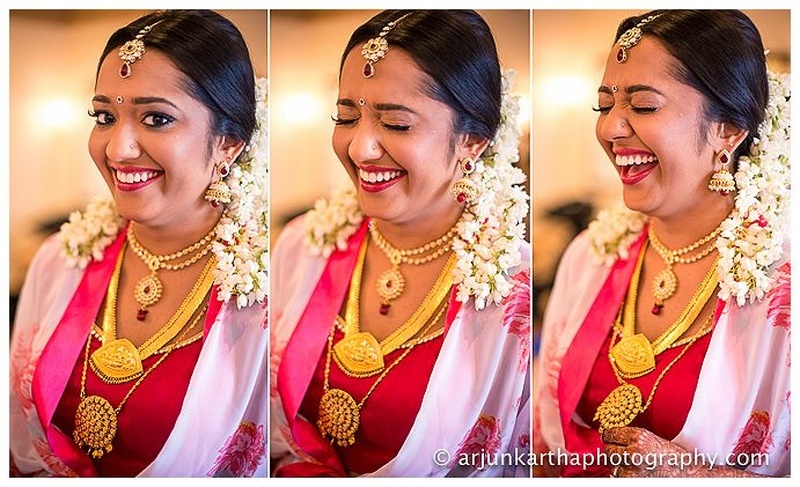 All this happiness and laughter and loads and loads of planning lead up to the intimate wedding in Bangalore. 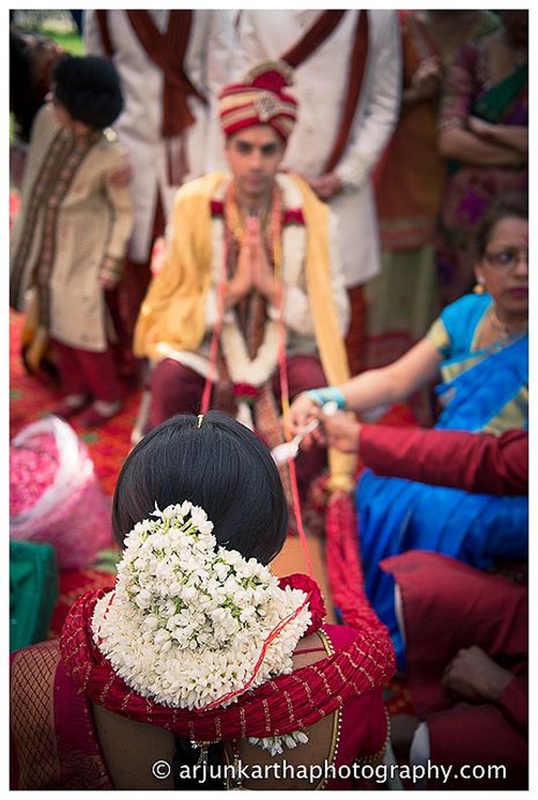 Being a cross-cultural wedding, it was important for both the families to incorporate the traditional rituals and customs. 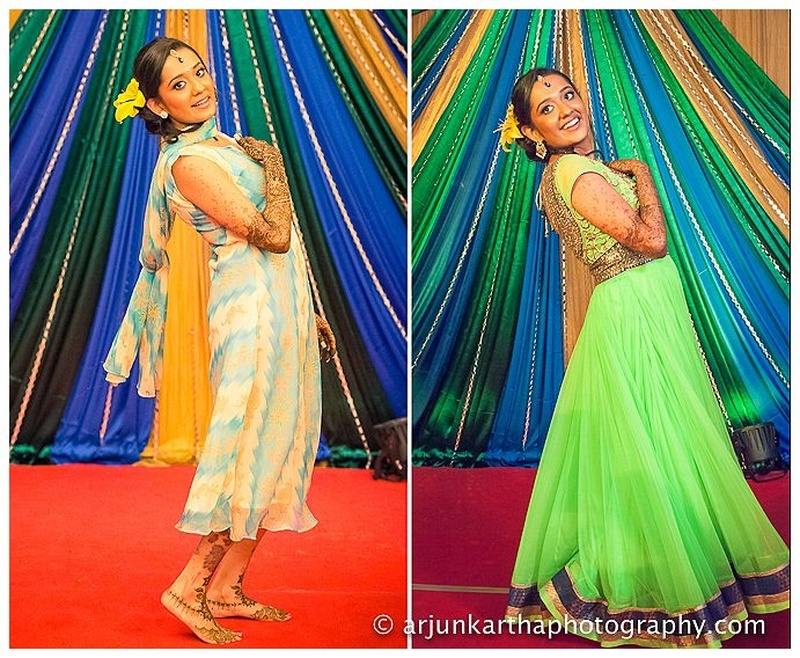 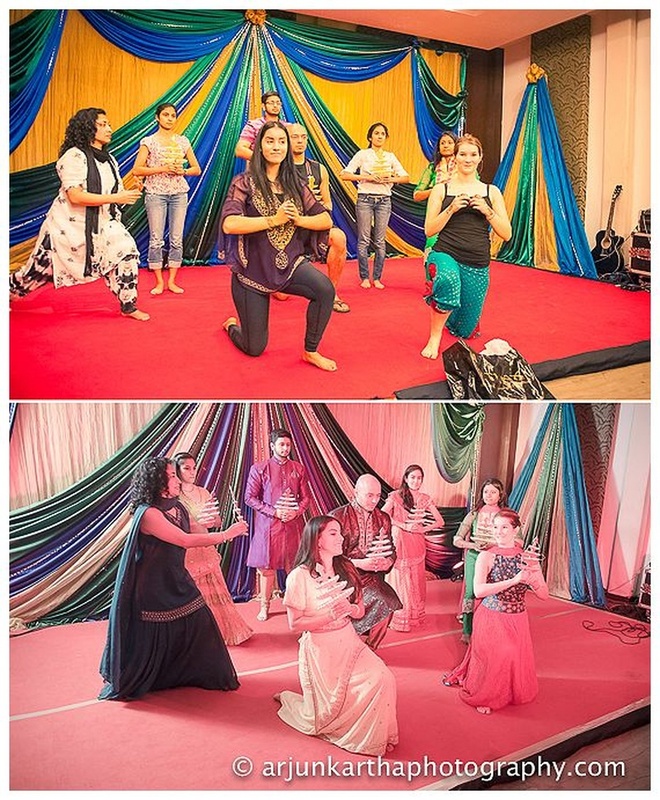 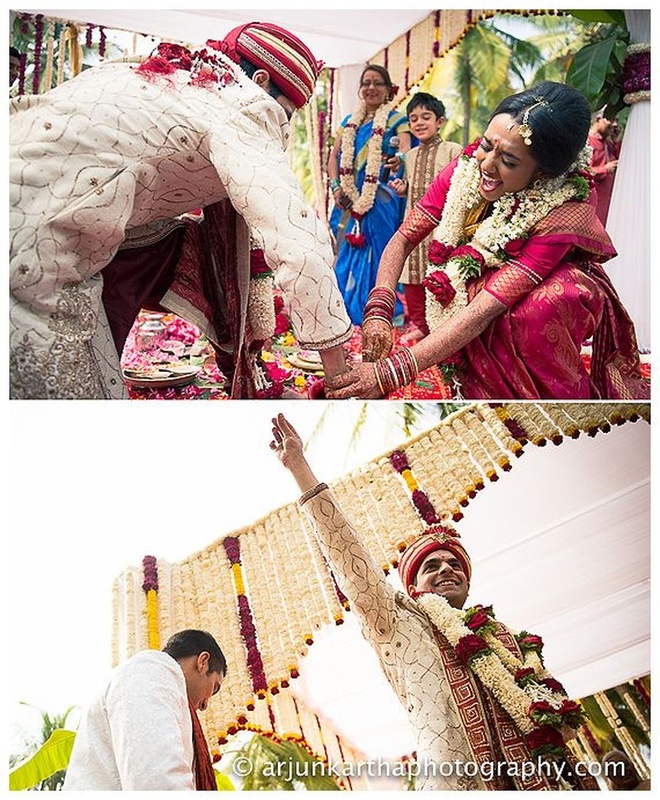 Although the ceremony was primarily in Tamil style, the dancing and dhamaal leading to the wedding mandap was complete Gujju style – complete with garba et all! 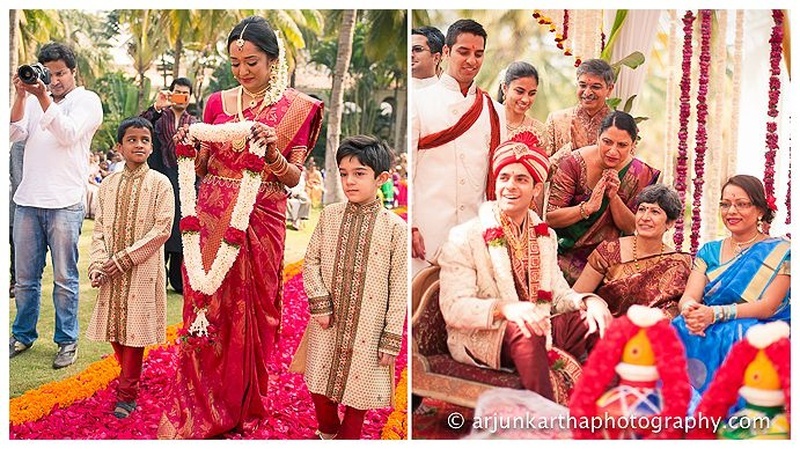 The gorgeous bride wore a stunning deep red kanjeevaram saree that left us wide-eyed and speechless – After all, we feel a special kinda love for these beautifully woven silks. 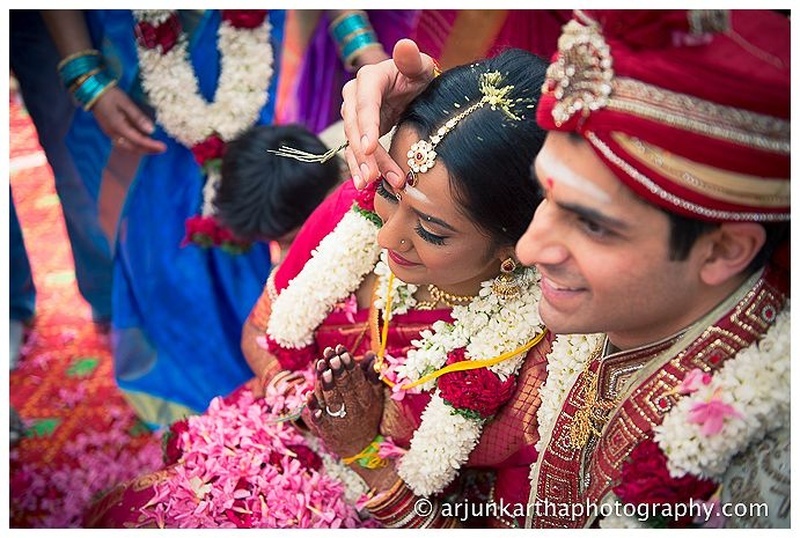 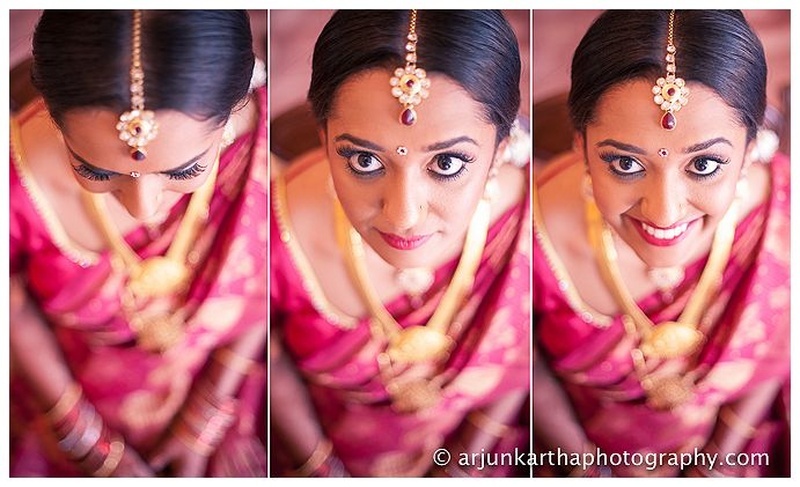 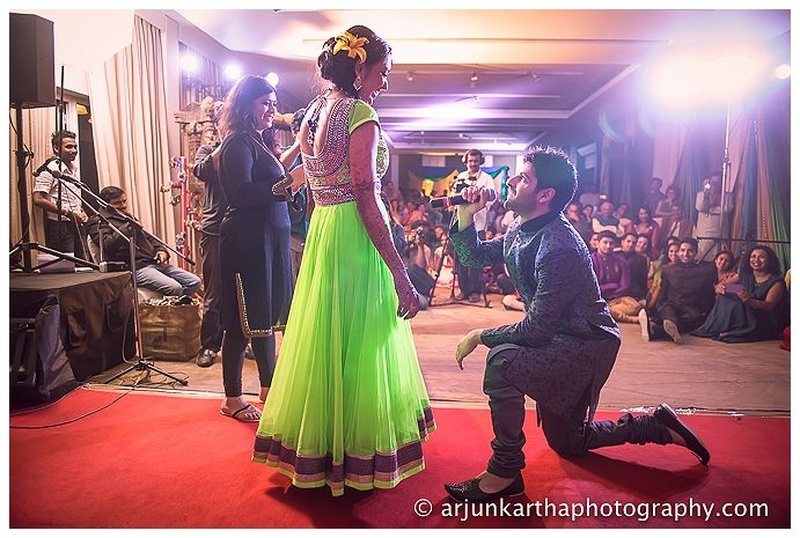 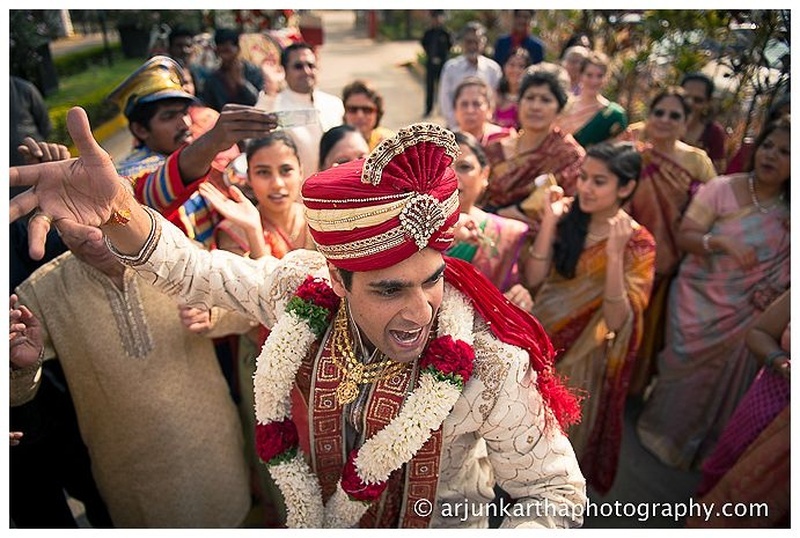 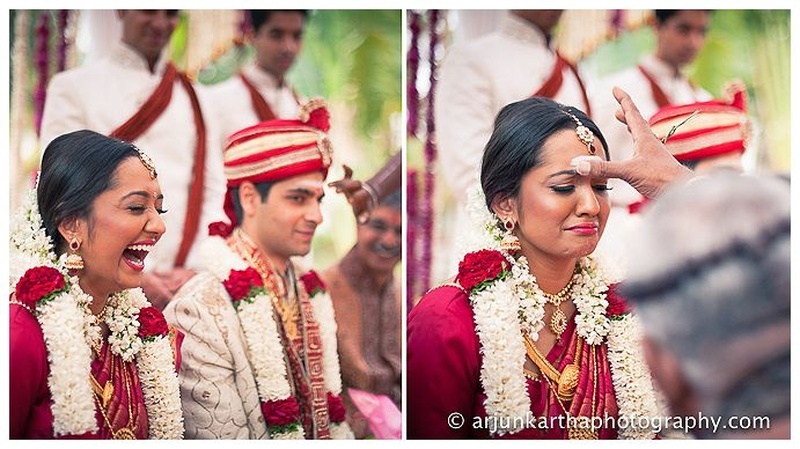 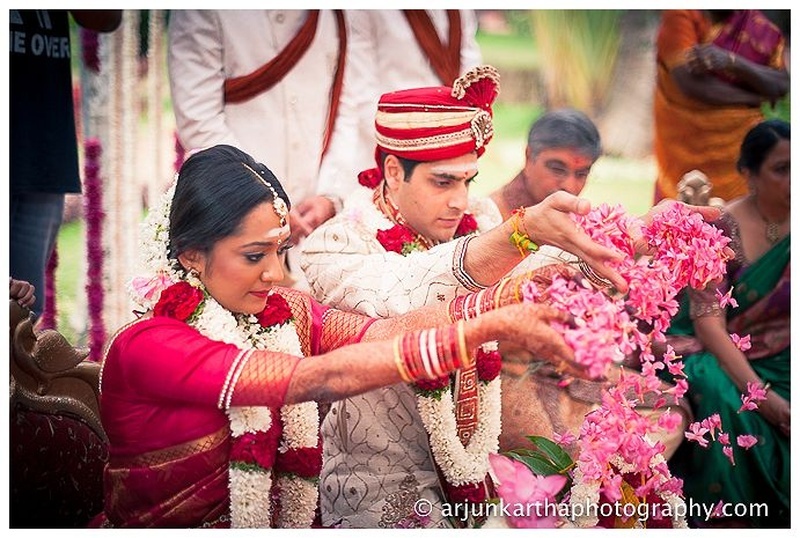 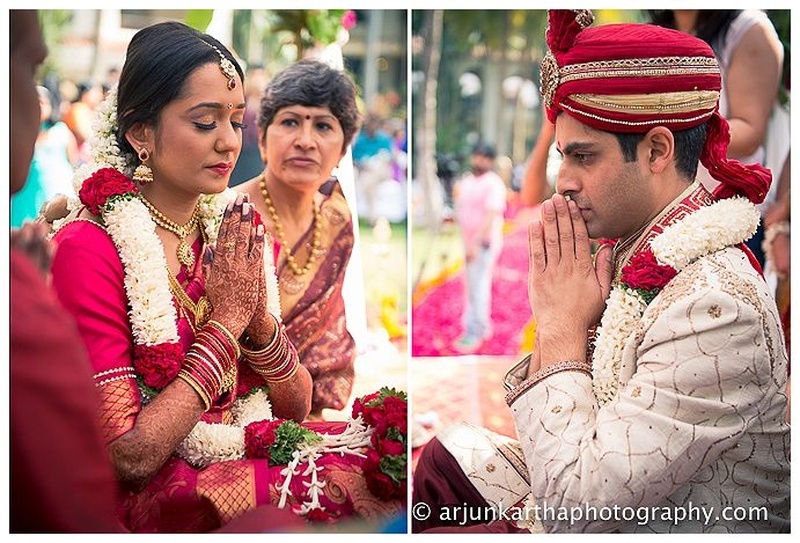 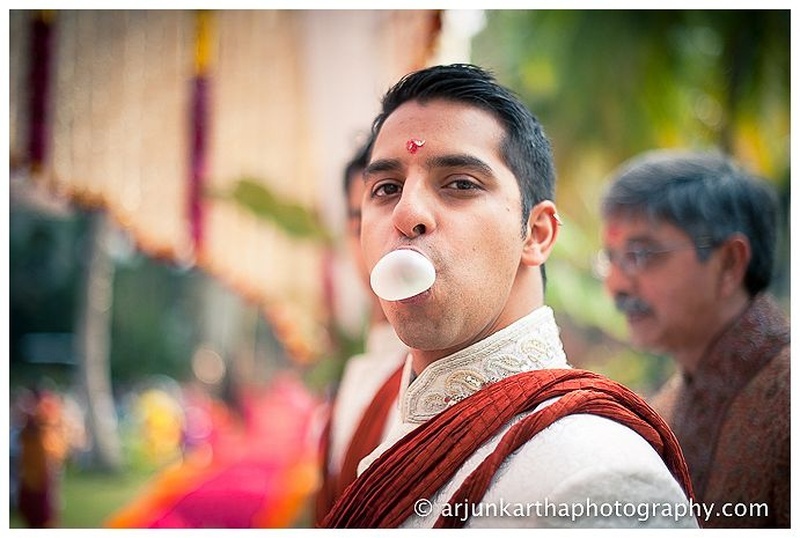 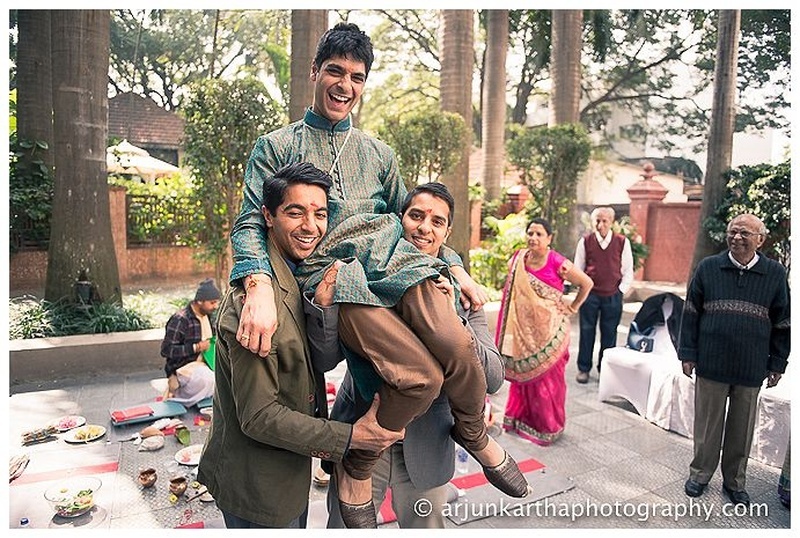 Photo genius, Arjun Kartha along with his team captured this stunning wedding perfectly. 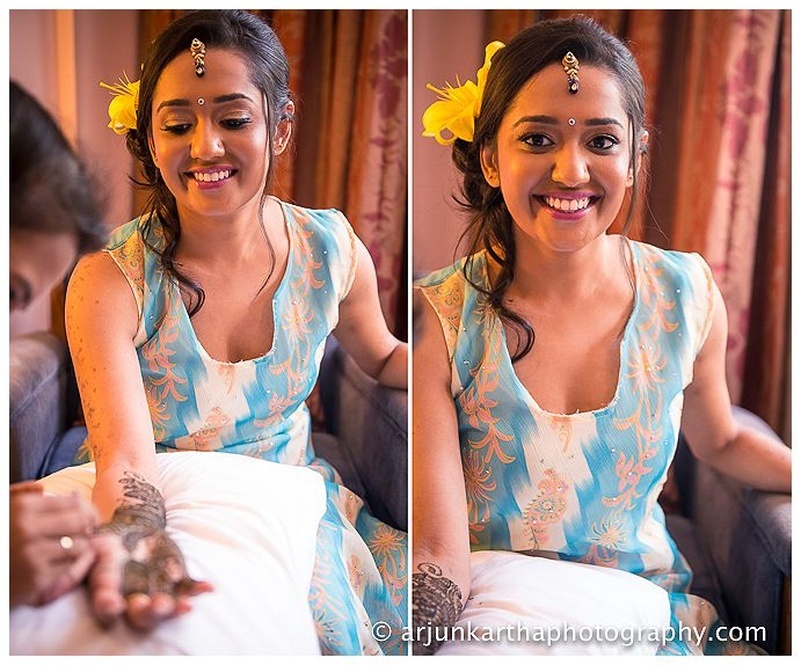 The candid moments, the sneaky ones and the emotional ones too. 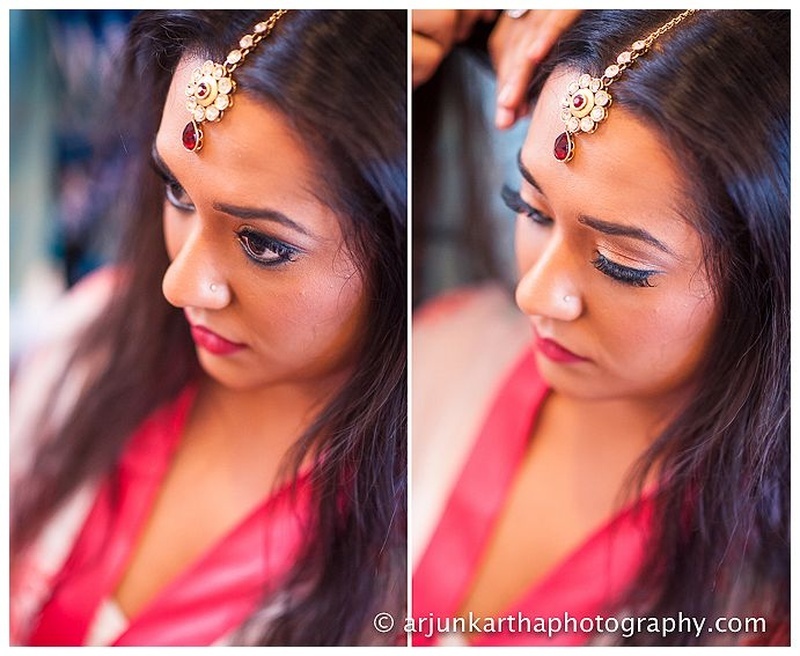 Some shots that you should look out for as you scroll through this wedding? 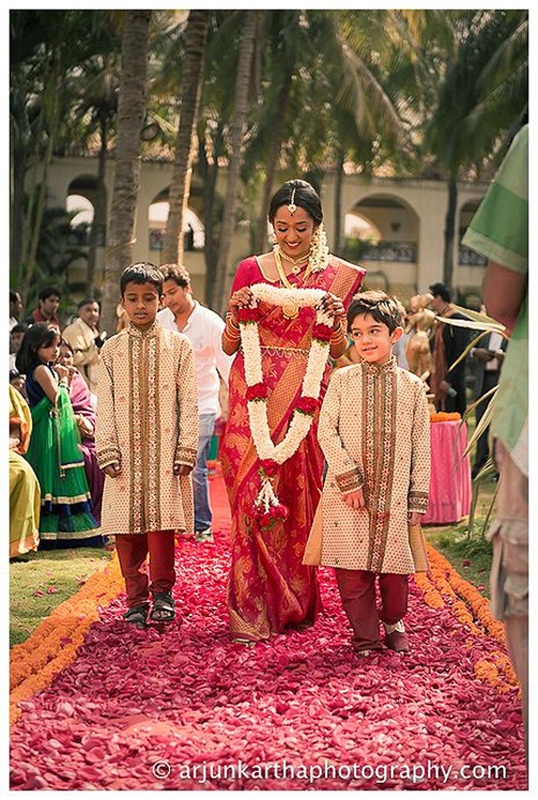 The uber cute little page boys who walked with Reena down the aisle, her stunning temple jewellery and her beautiful bridal braid. 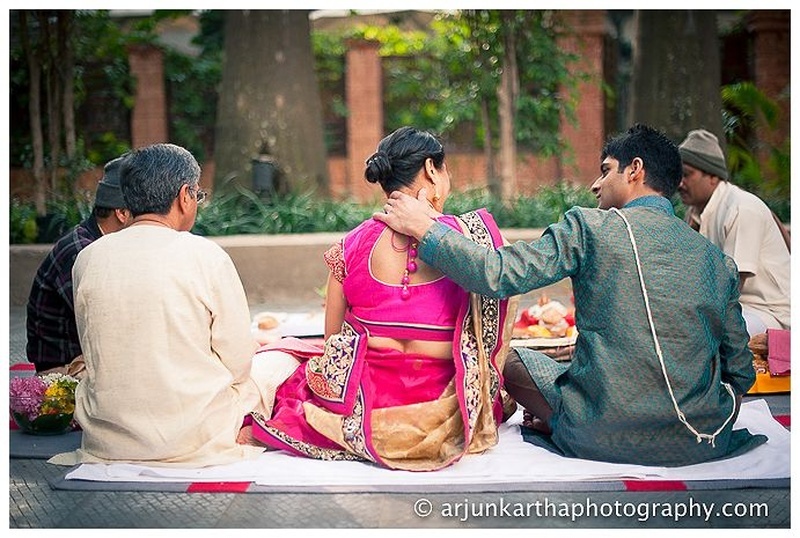 Assuring son and a proud mother! 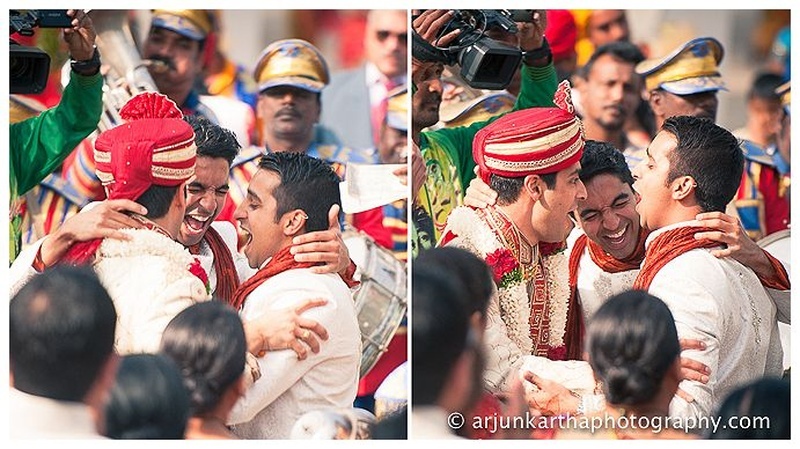 Couple's famiy celebrating their happiness, just when the joy doubles!